While I love ice cream (non-dairy of course) in the winter, for some reason I don’t really love hot soup in the summer. Summertime for me is gazpacho and other cold soups with fresh from the garden fruits and veggies. 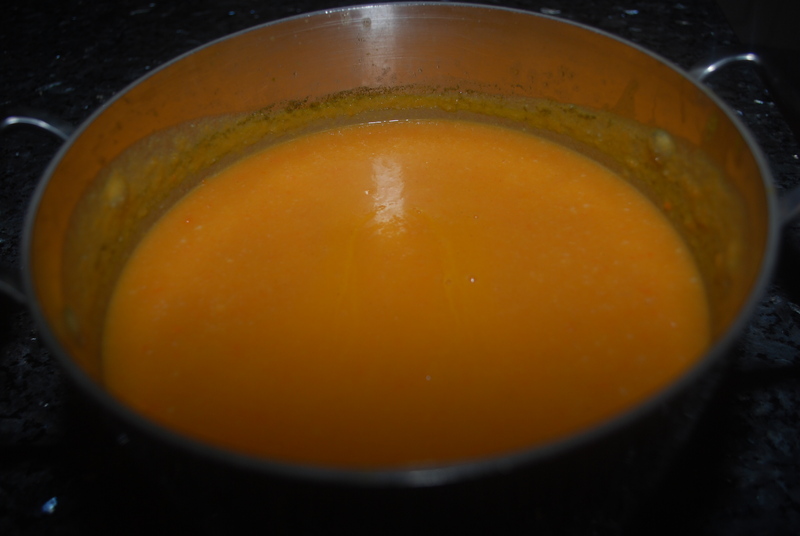 So, I have been making lots of my favorite soups lately since the cold weather will soon be gone. 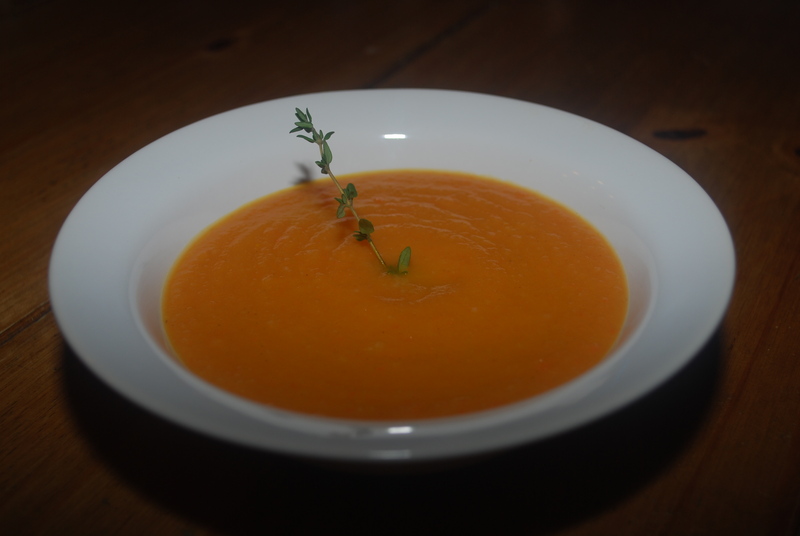 This carrot soup is so healthy, so easy to make and has so much flavor, but my favorite thing about it is the texture. It is not a broth and not really thick, but somewhere perfectly in the middle. You have to try it to understand. It is really that good. And because it is so delicious it is a great way to get kids to eat their vegetables. My kids were eating this and loving it at a very young age, and are still enjoying it now. And best of all, the health benefits of carrots are remarkable! Carrots are rich in anti-oxidants. 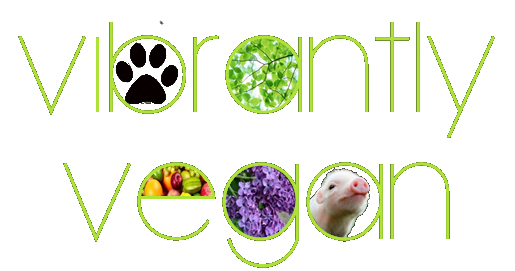 They are loaded with beta-carotene which easily changes in our bodies to Vitamin A, essential for healthy cell growth. Carrots have been shown to lower cancer and heart attack risk, to nourish the skin, and even to improve night vision in some people. So here’s to Bugs Bunny – and here’s to your health! Heat the oil in a medium saucepan over medium heat. Add the onions and cook until translucent, about 5 minutes. Add all the remaining ingredients, except the agave, stir, and increase the heat to high. 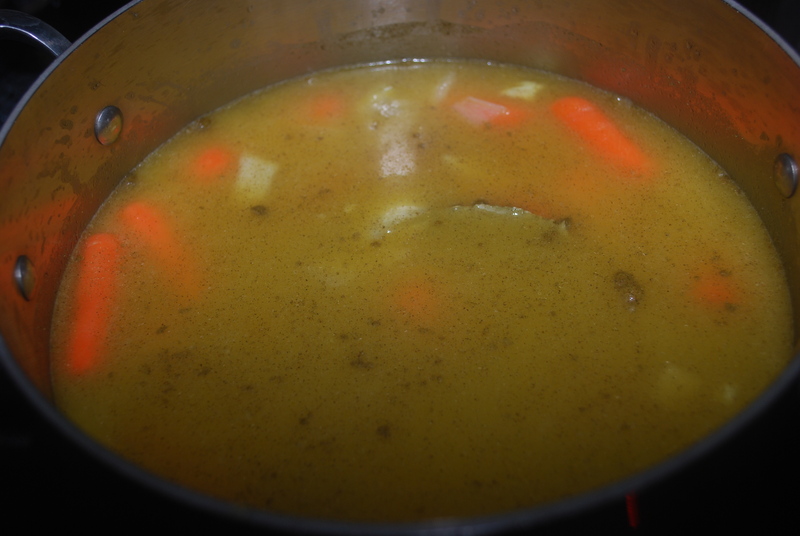 Once boiling, reduce the heat to low, cover, and simmer 30 minutes. Discard the bay leaf. Let cool a bit and puree in a blender or use an immersion blender. Stir in the agave and add more salt and pepper if desired. Creamy Tomato Soup and Grilled "Cheese"
Today was somewhat warm here in the Northeast, but it was really, really windy. The kind of day that makes you want some comfort food. 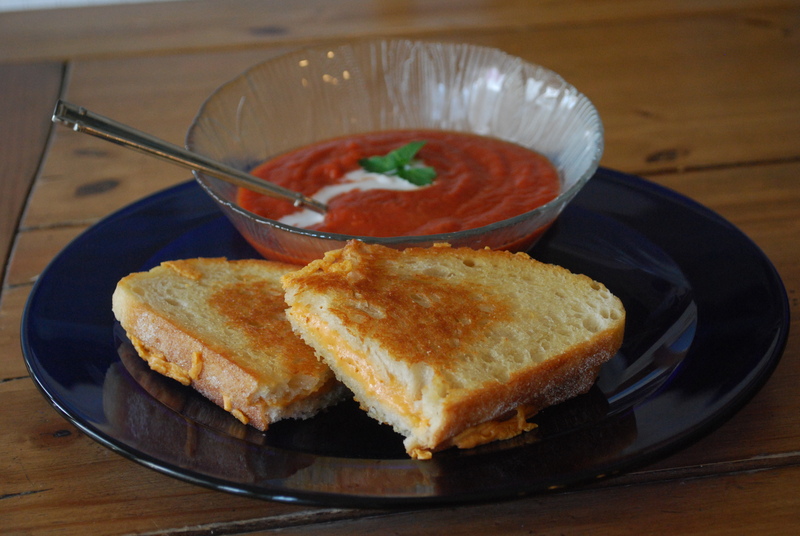 No wonder my daughter asked me if she could have some tomato soup and a grilled cheese sandwich for lunch. I told her of course, but that it would take about an hour to make the soup. I have always used a recipe from my friend Norma that involves sauteing onions and garlic and then adding tomatoes and simmering for 45 minutes, among other things. Delicious, but definitely not fast. So, I decided to try to make a quick version, and to make it creamy and smooth. Well – it was a huge success and all five of us wound up having it for lunch. I think it took 5 minutes total and I was able to whip up some grilled cheese while it was heating on the stove. Don’t you just love healthy, yummy food that can be made with only a few ingredients and in no time at all? Especially cooked tomatoes, since scientists now report that heating up tomatoes is very beneficial. And for the grilled cheese, once again, as always, I used Daiya. Heat all ingredients together in a large saucepan. Blend with an immersion blender until really smooth. Garnish with a dollop of mock sour cream.